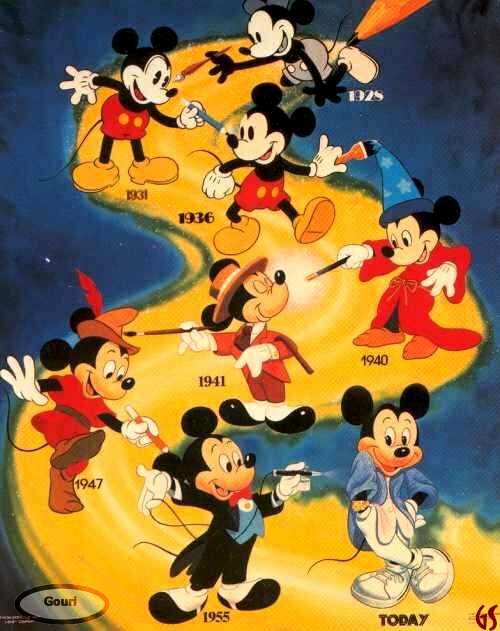 Mickey Mouse celebrates his birthday November 18. This year (2016) he’s taken his celebration worldwide to celebrate with his fans. Mickey began his trip around the world in October. Los Angeles was his first stop followed by Kyoto, Paris, Rome and Shanghai. His tour of surprise visits will continue until November 18 when he returns to the States. Here at Walt Disney World, there will be a special birthday-themed edition of the Move It! Shake It! Dance & Play It! Street Party in the Magic Kingdom. Disneyland in Anaheim will host a special pre-parade birthday celebration for Mickey. Special commemorative “Happy Birthday, Mickey!” buttons will be distributed in both of these parks as well as Disney Stores around the United States. Also to look forward to on November 18 is the release of a new video highlighting his trip around the world. If you would like to follow along on Mickey’s worldwide birthday celebration, check out the official Mickey Mouse Facebook Page or the hashtag #HappyBirthdayMickey on Twitter to find out! Mickey Mouse, Move It Shake It Street Party. Bookmark.